Scott Mendes is a true cowboy. He comes from a long line of rodeo champions. His grandfather Frank won numerous bull riding tournaments in the 1940s. His father Alan was also a well respected bull rider. It was only fitting that Scott would follow in their footsteps to eventually become a World Champion bull rider too. Scott was born in Visalia, California on July 4th, 1969. Even his birth date destined him to be an all around American icon. Scott started riding bulls at the age of five and later won the Nevada state title when he was a sophomore in high school. 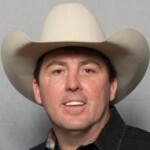 After graduation, Scott embarked on a full time career in bull riding where he won tournament after tournament, eventually taking the 1997 PRCA World Champion Bull Rider title. Scott is married. He met his wife Angel during his rise to fame riding bulls. He has two sons Kaden and Kolten, and a daughter Jorden. His children also exhibit various rodeo talents too. Scott currently lives in Weatherford, TX. He the Pastor of Western Harvest Ministries, and founder of several Christian organizations building cowboy character for the youth. He is also a producer of several Christian films, and is the chair for the Fort Worth Christian Media Association. Scott is also pursuing an acting career. He has been in several Christian and western films, some of which he helped produce. If you would like to know more about Scott, please visit his personal website at http://scottmendes.com.